Twenty years ago, on April 19th, 1995, Timothy McVeigh parked a rented Ryder truck at the curb, directly in front of the Alfred P. Murrah Federal Building in downtown Oklahoma City. In the back of that truck was a 4,800 pound bomb, improvised using primarily fertilizer and fuel oil. McVeigh, having set the fuse, calmly exited the truck and walked away. At 9:02 AM, local time, the explosive mix detonated, causing one-third of the Murrah Building to collapse. 168 lives were lost, including 15 children in a daycare center on the second floor. Another 680 people in and around the building were injured. 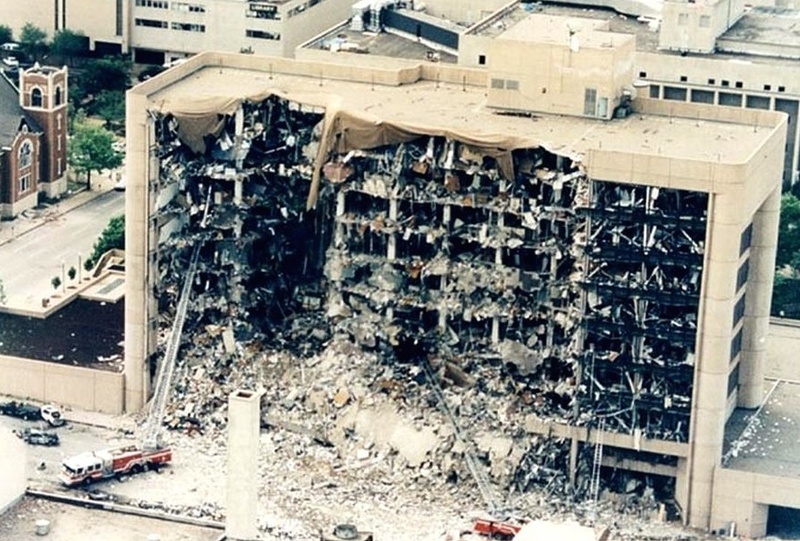 The Oklahoma City Bombing, as it became commonly known, was the most devastating terrorist event on U.S. soil up to that point (and it remains the worst domestic terrorism act committed by a U.S. citizen). The day following the bombing, President Clinton ordered the Department of Justice to conduct an immediate vulnerability assessment of federal facilities. It was this report that established five security levels for federal facilities, where Level I is the lowest and Level V is the highest (though Level V was reserved for uniquely secure facilities such as CIA headquarters and the Pentagon). It also recommended 52 physical and operational security criteria to improve facilities protection, recommended that the Federal Protective Service be upgraded to improve its oversight of facilities security, and it recommended the formation of a committee to establish security policies and oversee their implementation. It was this final recommendation that was most impactful because it led President Clinton to issue Executive Order 12977, which directed that an Interagency Security Committee (ISC) be established to write standards for federal facilities. The ISC still exists and the standards it has issued have had substantial impact on federal leasing over the past two decades. It should be noted that most federal facilities have had enhanced security long before the Murrah Building bombing. The threats were already well known based on previous incidents overseas, including the 1983 suicide bombing of a military barracks in Beirut, which killed 241 Marines, and domestically, including the 1993 attempt by militant Islamists to take down the World Trade Center north tower by detonating a truck bomb in the parking garage. Yet, the Murrah event was the catalyst for a portfolio-wide assessment of domestic federal buildings and the universal application of minimum security standards. Those security standards were initially applied only to federally owned buildings, where GSA could implement new protocols and physical security upgrades unilaterally. Developing standards for leased space took much longer. In fact, it wasn’t until nearly a decade after the Oklahoma City Bombing that the ISC formally enacted its Security Standards for Leased Space. That report established minimum standards to be applied to all new GSA leases and also to most federal agencies procuring space under delegated or statutory authority. Notably, the ISC standards did not apply to Department of Defense facilities, which continued to adhere to a stricter standard (though in December, 2012, DoD adopted the ISC standards for its leased buildings). The first generation of ISC security standards were focused heavily on threats involving vehicle-borne bombs. In an explosion, building window glass is blown inwards and the shards can be injurious or lethal to the human occupants inside. Therefore, the ISC stipulated that all but the smallest federal offices be outfitted with shatter-resistant window film. Further, as the blast force of a bomb degrades rapidly with distance, the earliest security standards mandated standoff distance for most new construction. Though the standards did not require standoff for existing buildings, some agencies clearly felt the need to establish enhanced physical security and this touched off a wave of new construction after the Oklahoma City bombing and again after the 9/11 attacks. The other considerable impact of the security standards was the widespread implementation of building access control, including federal control over parking and building entries with magnetometers, x-ray machines and armed guards. While this level of security is typical for buildings that are fully occupied by the government, the early ISC standards required it in any building that had at least 150,000 SF of federal tenancy. Yet, in instances where the government occupied multi-tenant buildings, implementation of the government’s desired security was often impractical. Heightened concern over security and the requirements imposed by the ISC standards weakened the incumbent advantage of many buildings as security concerns made federal tenants more difficult to retain upon their lease expirations. The most stark example of this is FBI, which constructed more than three dozen new field offices across the United States between 1998 and the present. By and large, these new field offices featured 100′ standoff distances, secured perimeters, including vehicle-resistant fencing or other protective barriers, filmed or laminated window glazing to withstand substantial blast pressures and structural design to prevent progressive collapse of the building. Ultimately, however, these same security mandates made some federal tenants more captive. Using FBI as an example again, the building design described above is entirely unique to secure government facilities. Upon renewal of these leases, there is no relocation option for the federal tenant unless another costly new facility is constructed. Without competition, the incumbent lessor has significant negotiating leverage. The early standards were focused exclusively on the size of the target, based on square footage and population: Buildings with more than 150,000 SF of federal tenancy or more than 450 federal employees were deemed Level IV, buildings with 80,000 SF to 150,000 SF of federal tenancy or 151 to 450 federal employees were deemed Level III, and so forth. Thankfully, the security standards have evolved to better match the necessary level of protection to the level of risk. The facility security assessment now considers factors beyond just facility size and population–like symbolism, the threat to the tenant agencies (ex. law enforcement agencies warrant higher security) and mission criticality. Large buildings occupied by rank-and-file agencies for relatively vanilla uses are now typically designated Level III, whereas they would have been deemed Level IV a decade prior. In fact, generally, the federal government appears more willing to recognize that security needs to be balanced against other factors. In the current budget environment, one of these factors is cost. An Interagency Security Committee report published late last year, entitled Best Practices for Working with Lessors: An Interagency Security Committee Guide, included the rational observation that, “In most facilities, it is neither common to find anything close to perfect security nor is perfect security an economically feasible objective.” This observation is encouraging because the premium cost of facilities protection can be high and the security enhancements often add little to the value of the asset for anyone other than federal tenants. It is also why OMB ruled years ago that security costs must be accounted for separately from rent (and it is why federal lease proposals typically require specific delineation of security related pricing). Security also finds itself increasingly at odds with the federal government’s efforts at improved sustainability and carbon footprint reduction. As an example, federal sustainability guidelines encourage locations near mass transportation. Yet, secure compounds can only be found in suburban locations that are accessible exclusively by car. It was this tension between security and sustainability that ultimately contributed to DoD’s decision to abandon their Anti-Terrorism/Force Protection standards and migrate to the ISC criteria, at least for leased buildings. One thing is certain: security standards will continue to evolve in response to many factors, including terrorist and criminal threats, budget demands, sustainability goals and the practical circumstances of multi-tenancy. Yet, as the Murrah Building bombing established, the threats are real and security will remain a prominent factor in federal leasing. If there is any good that can be divined from that fateful day, April 19, 1995, it is that it established the ISC and a framework for federal facilities security that is capable of adapting to the changing environment.